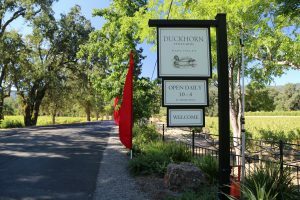 Duckhorn Vineyards was founded in 1976 by Dan and Margaret Duckhorn (along with 5 initial silent shareholders); their inaugural vintage was from 1978. 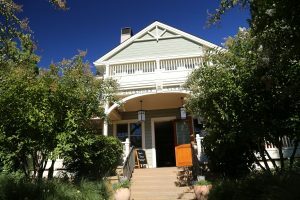 Dan and Margaret also founded Paraduxx Winery – located further south on the Silverado Trail (about 20 minutes from Duckhorn). 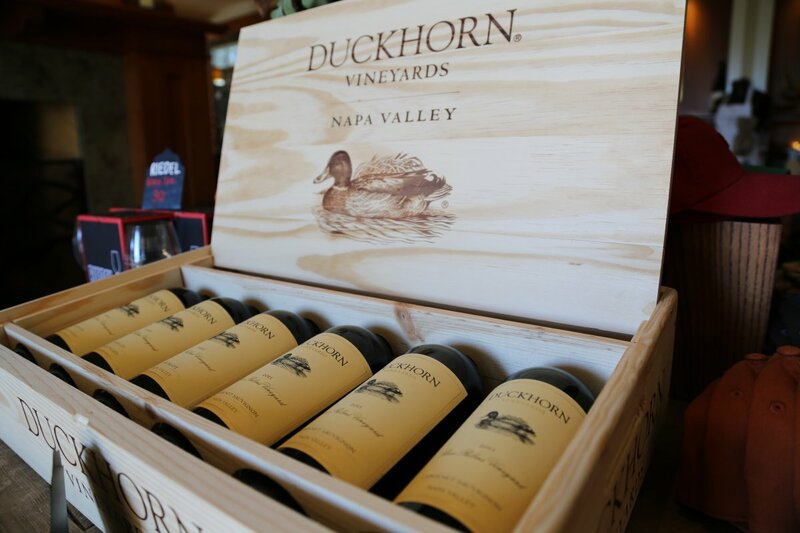 Today Duckhorn is owned by the private equity firm, TSG Consumer Partners. 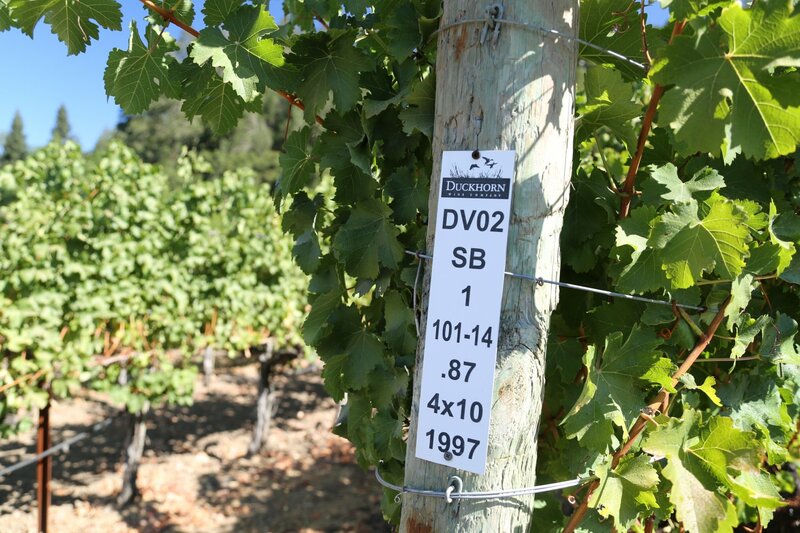 Overall this company owns Canvasback, Decoy, Duckhorn, Goldeneye, Migration and Paraduxx – along with over 600 vineyard acres. 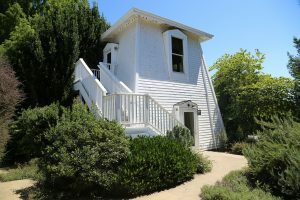 Dan was born in San Francisco and grew up in various parts of northern California ultimately earning his undergraduate and graduate degrees in Corporate Finance from UC Berkeley. 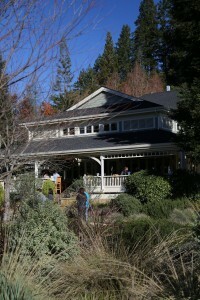 Margaret was born in New York – came west for Nursing School, met Dan at UC Berkeley and ultimately graduated from UCSF. Both had some family history touched by wine – Dan’s father made cherry wine in his cellar in Sebastopol and Margaret’s great grandfather on her mother’s side owned a winery in Stockton California. 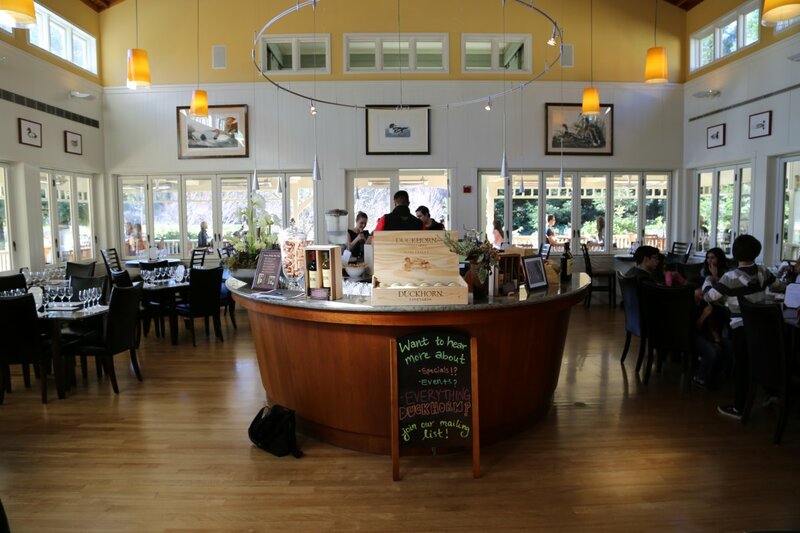 Interestingly Dan’s family name was originally Duc Horn (Hungarian & German roots) but when his family immigrated through Ellis Island the name was changed to the more easily pronounced Duckhorn (and combined rather then two words). 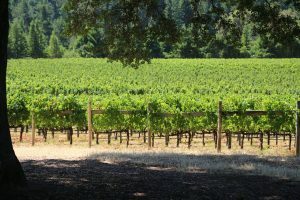 Dan’s introduction to the Napa Valley came through his work at the time; while living in the San Francisco Bay Area, Dan was working for Crocker Associates – Dan’s boss Charlie Crocker mentioned he had purchased a summer home on Dowdell Lane in St. Helena (presently, still owned by Charlie). 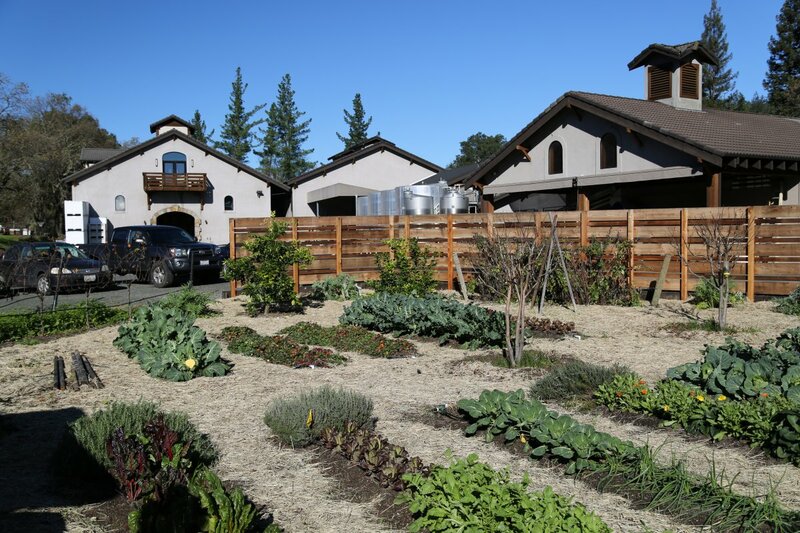 The property had come with a number of greenhouses which were not being used and there was demand from several vintners to use the greenhouses to grow bench-grafts (to supply local vineyards). With Charlie’s funding a new company was started called Vineyard Technical Services. 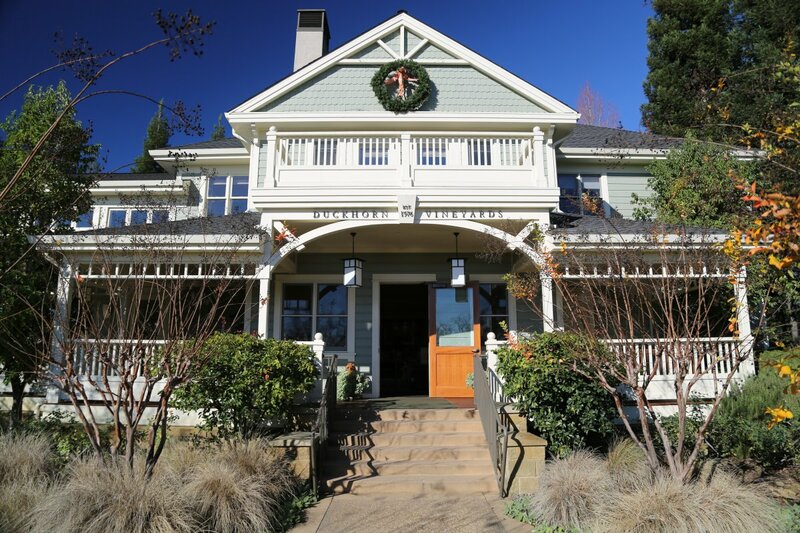 Incidentally Charlie Crocker later founded his own winery Crocker & Starr with vintner Pam Starr – also on Dowdell Lane. 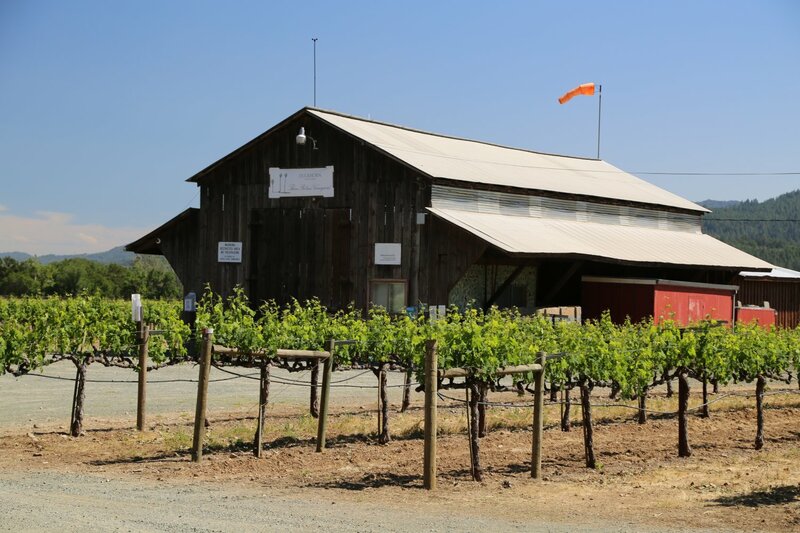 Charlie Crocker also helped fund the purchase of Duckhorn’s original (and still existing) 10-acre property off of Lodi Lane. 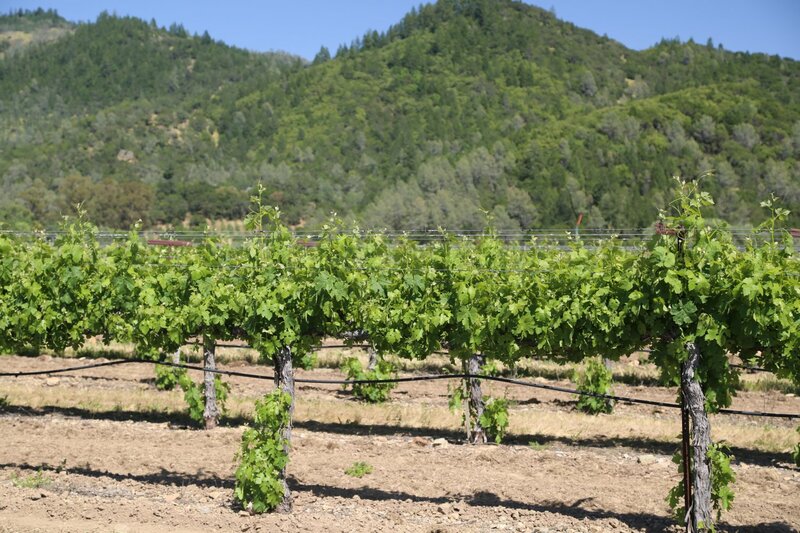 In order to help oversee the new vineyard company, Dan found himself driving up to the Napa Valley fairly often. 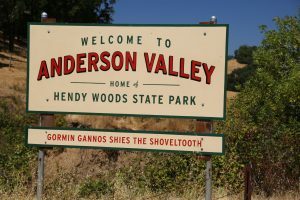 He and Margaret eventually fell in love with the region and moved their family to the valley in 1973. 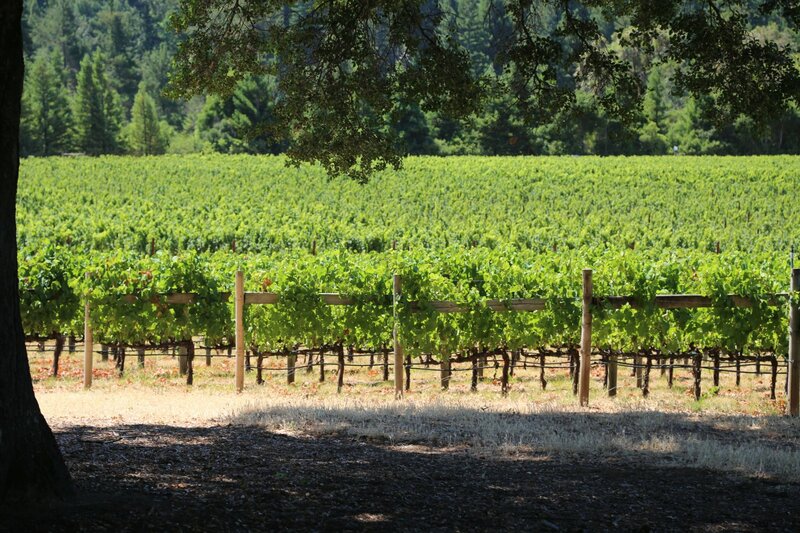 Both also became fascinated with Merlot. 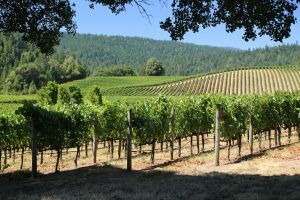 Looking to the old world for inspiration and ideas, Dan and Ric Forman (then the winemaker at Sterling Vineyards – who was making small amounts of Merlot at the time) visited the Merlot dominated regions of Pomerol and Saint-Émilion in France in 1978 including a stop to Chateau Pétrus. Dan became intrigued with making a premium wine from Merlot. While in France they studied a number of techniques used in the cellar including the types of barrels used. The first vintage of Duckhorn included 800 cases each of Merlot and Cabernet Sauvignon. 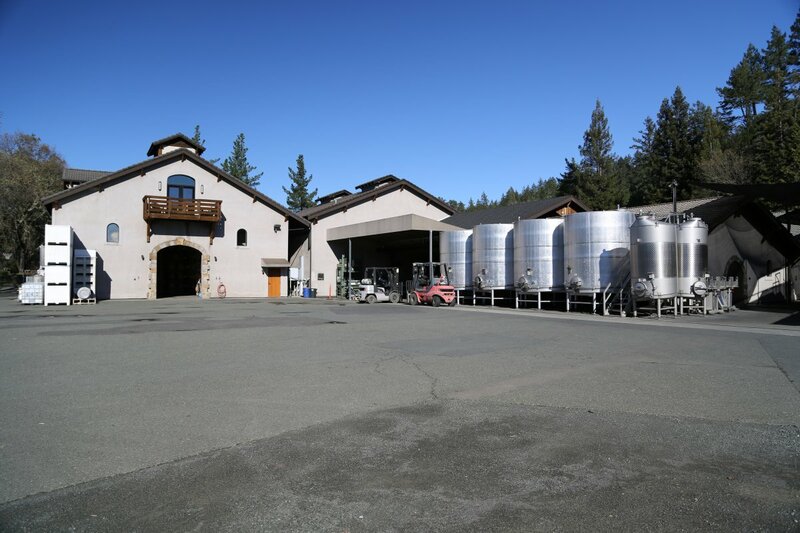 The winery/barrel room at that time was simply a small shed with a few stainless steel tanks out on the crushpad. 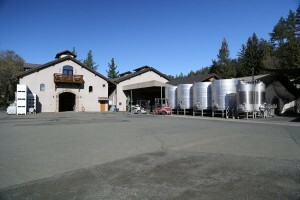 As production increased in the early years they decided they needed a larger facility. 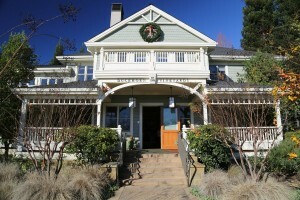 Noted local architect John Lail created the initial design concept. 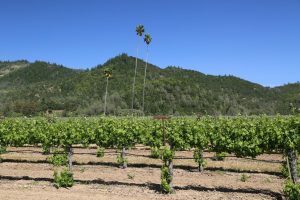 Their first Merlot was from the now iconic Three Palms Vineyard (located off of the Silverado Trail between Calistoga and St. Helena – in actuality 2.5 palms since one of the original palms died and had to be replanted). 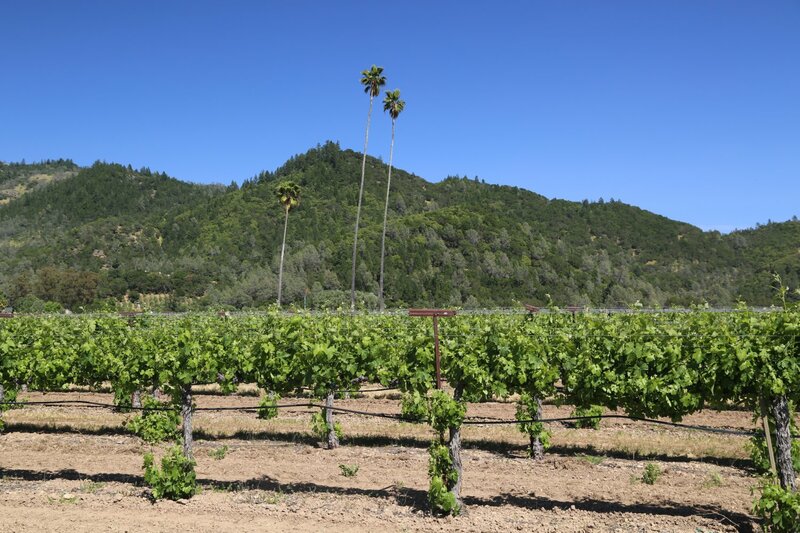 The introduction to the owners of this vineyard, brothers John and Sloan Upton came from Ric Forman because he was already using some of their Merlot in a reserve wine for Sterling Vineyards. 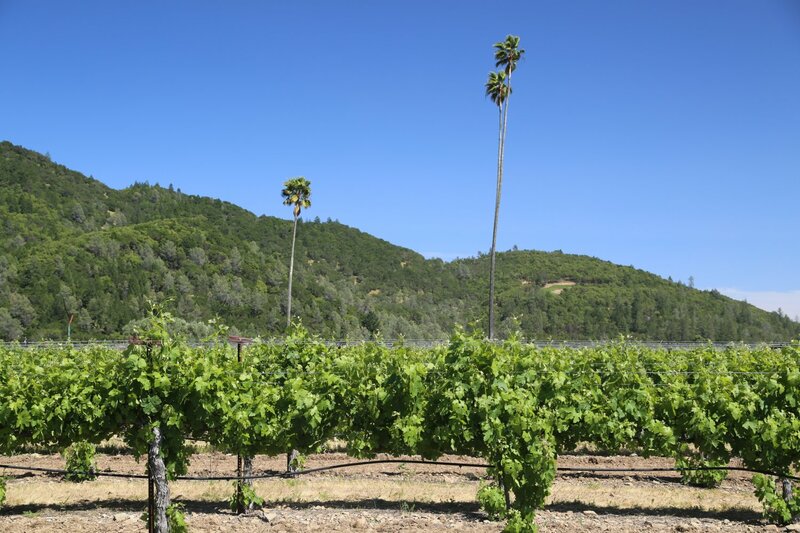 The Uptons sold their vineyard to Duckhorn in 2015. 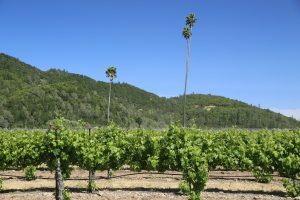 Incidentally Lillie Hitchcock Coit (namesake for San Francisco’s famous Coit Tower) used to live in what is now the Three Palms Vineyard – she called her home Larkmead (see Larkmead Winery and Frank Family winery for more information about their fascinating tie-ins with Ms. Coit). These palm trees roughly mark the spot where her elaborate house was once located. 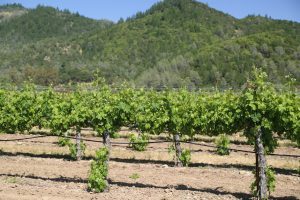 The first Duckhorn Vineyards Cabernet Sauvignon was a combination of fruit from Howell Mountain and Steltzner Vineyards (in the Stags Leap Appellation). The Duckhorn’s made the gutsy decision to price their Merlot far higher then the majority of the Napa Cabernet Sauvignon’s at the time. This certainly got the initial attention of the wine world but the quality of the wine stood up to the higher price. 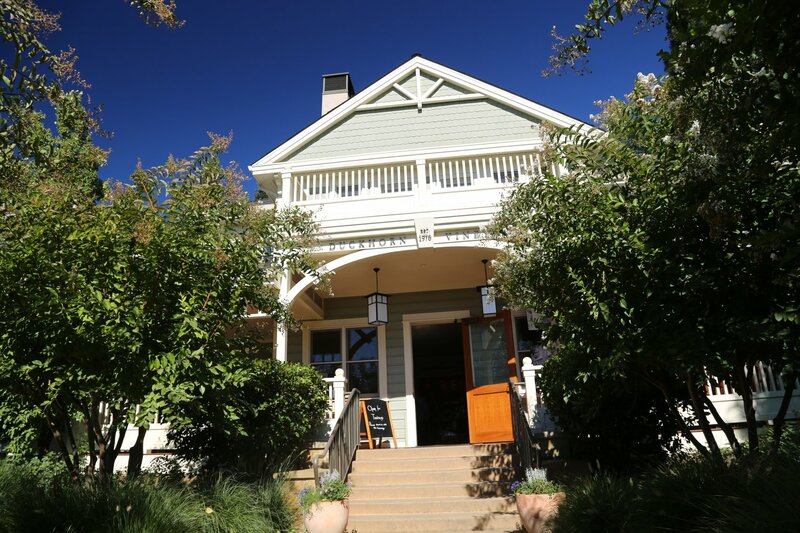 A number of prominent Napa winemakers have worked at Duckhorn including founding winemaker Tom Rinaldi (who later went on to oversee the wine making at Provenance Winery and is often associated with Merlot) and Mark Beringer (Jacob Beringer’s great, great grandson who most recently is the winemaker at Beringer Winery). 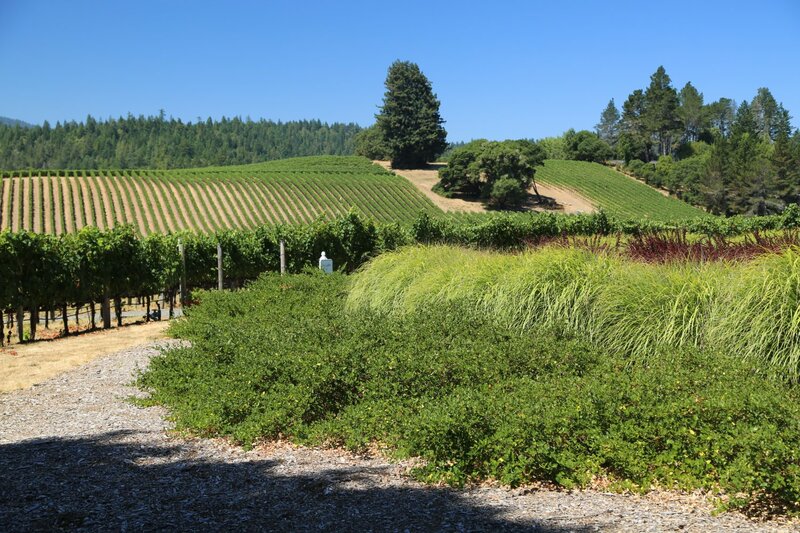 Their original 10 acre property is located near the town of St. Helena and is home to Marlee’s Vineyard originally planted by the Duckhorns in 1981. The vines surrounding their driveway and parking lot are currently planted to a very tasty Sauvignon Blanc and Sémillon. 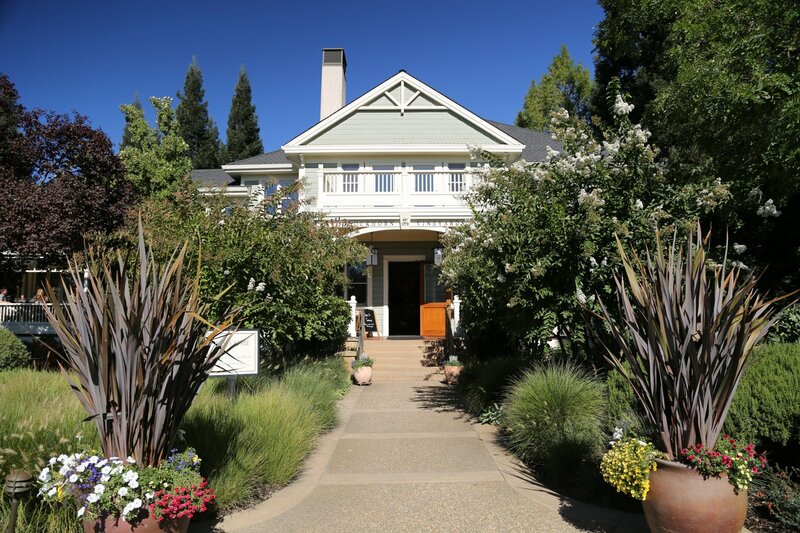 This is also the site of the gorgeous country style Duckhorn Vineyards Estate House. 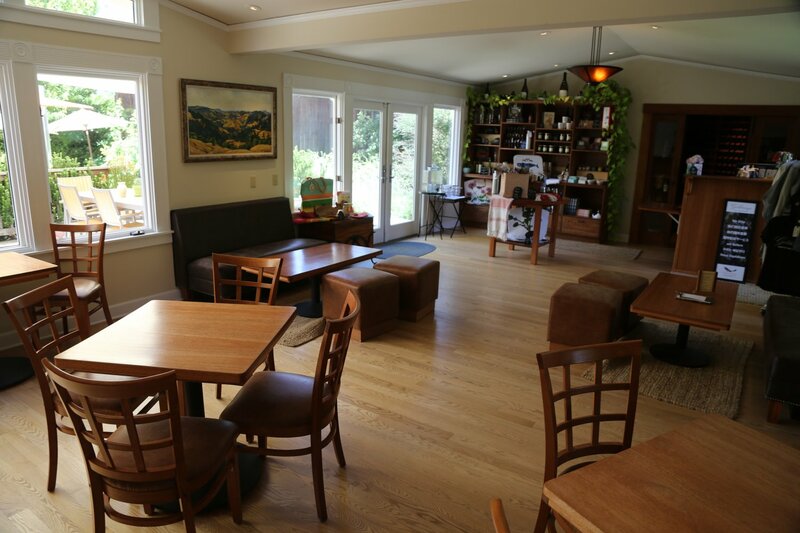 The winery is not open to the public but we have found if its not crowded and you show up they are welcoming and will let you make an appointment to taste. 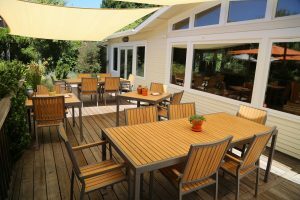 However be aware that during many weekends due to crowds this is just not possible as well as weekdays in the summer and fall months. 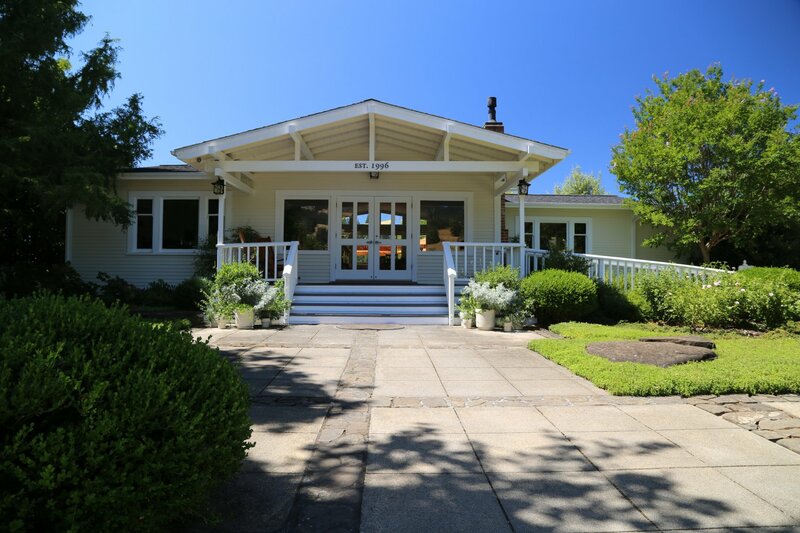 As a result appointments ahead of time (before you physically are on the property) are highly suggested for weekdays and required for weekends. 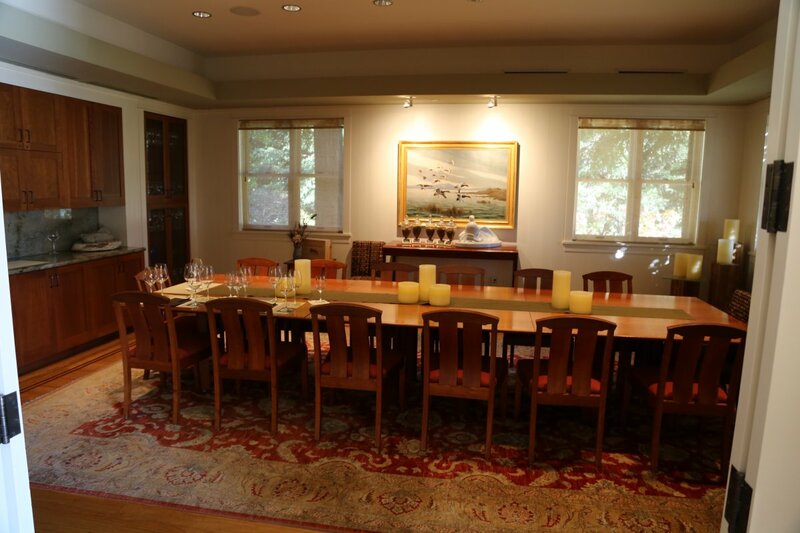 Several private rooms are available for private tastings – for general tastings guests sit at marble covered tables – waited on by a host. 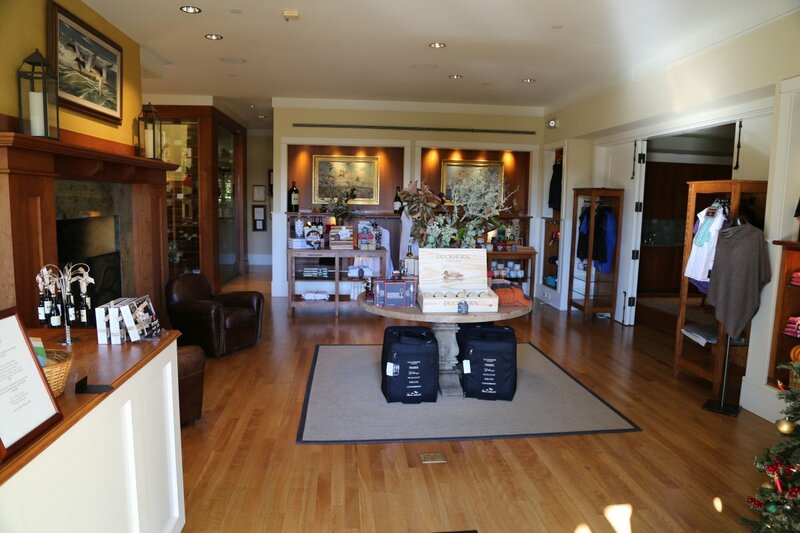 The semi-private estate tastings are offered daily and appointments are a must. 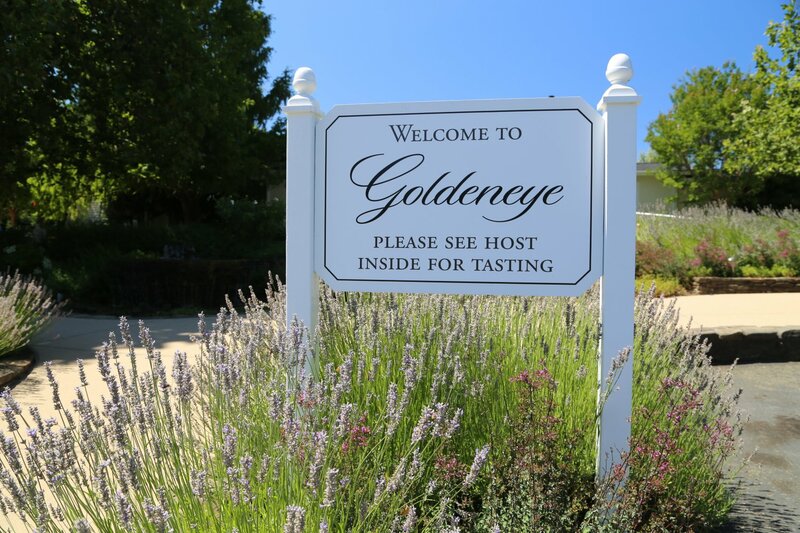 These are educational tastings in which you taste the best wine they offer (estate and limited production) which are paired with a variety of cheeses. Along with Paraduxx their “sister” Napa winery, this tasting facility is first class and one of the nicest in the valley. Think restaurant dining but for wine instead. The building’s primary room is surrounded with windows and you have good views out on their gardens. 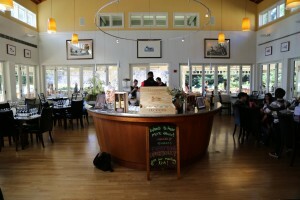 A small circular wine bar is located in the center of the tasting room and is surrounded by tables. 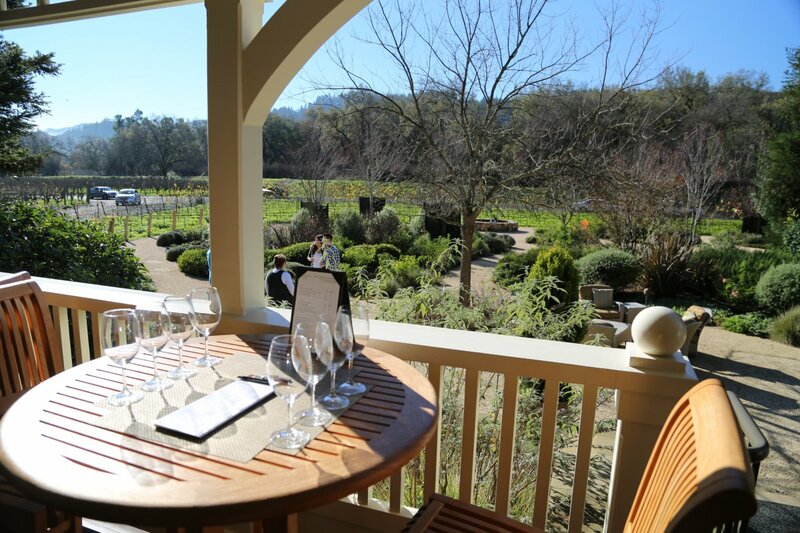 Visitors can choose from one of two “classic” tastings or their “reserve” tasting, which includes a tour and pairs food with the wine. 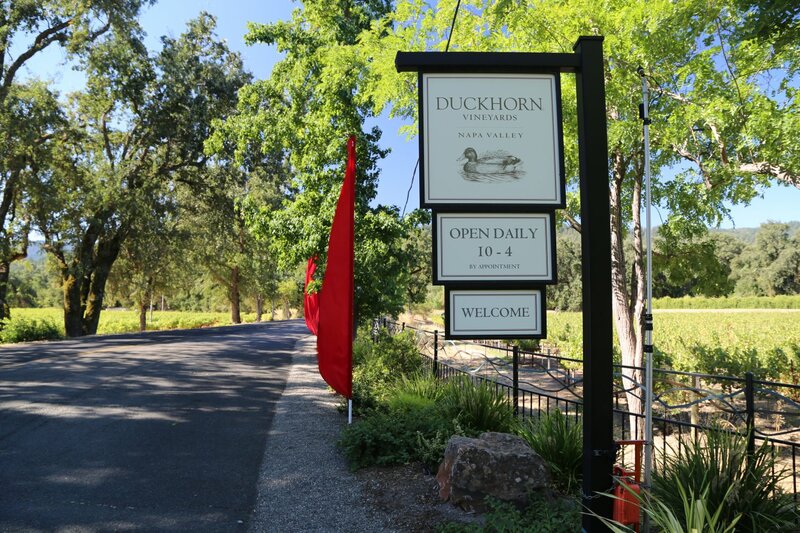 The majority of the wines served are Merlot and Cabernet Sauvignon – Duckhorn specializes in Bordeaux varietals. 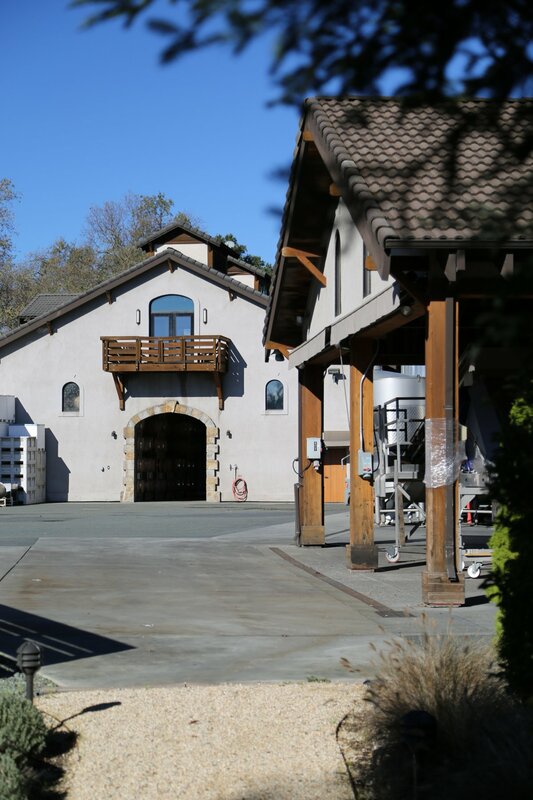 While their production is significant (for a Napa based winery) the wines are artisan in style as they are hand crafted – during fermentation and aging the wines are kept in small lots corresponding to specific blocks within their vineyards. 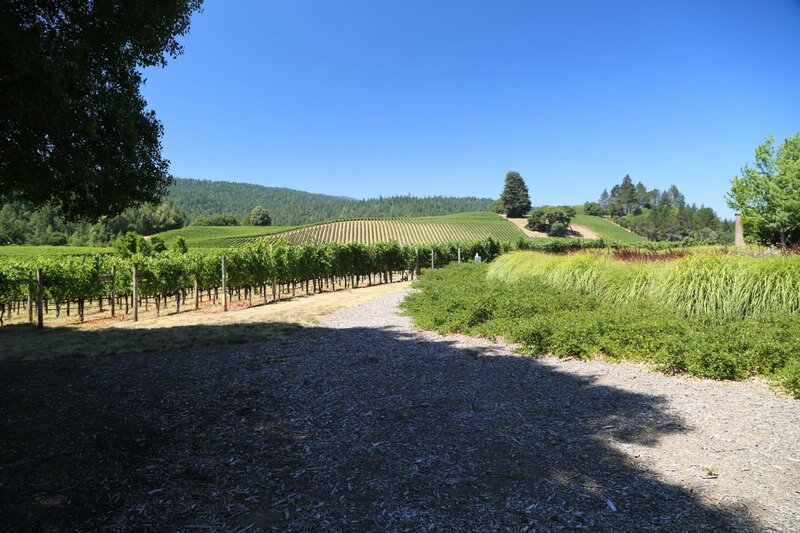 As of our latest update, they own and manage 8 different vineyards in the Napa Valley area including several on Howell Mountain. 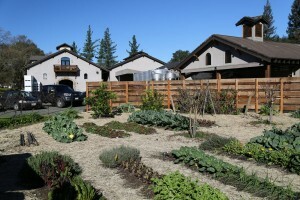 They also source fruit from premium growers. Wine making starts in the vineyards and teroir is extremely important – their website provides detailed information about each of their vineyards. 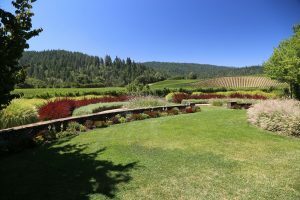 The surrounding gardens are nicely laid out and it is worth a few minutes of your time to stroll around the estate or admire the grounds from their porch. 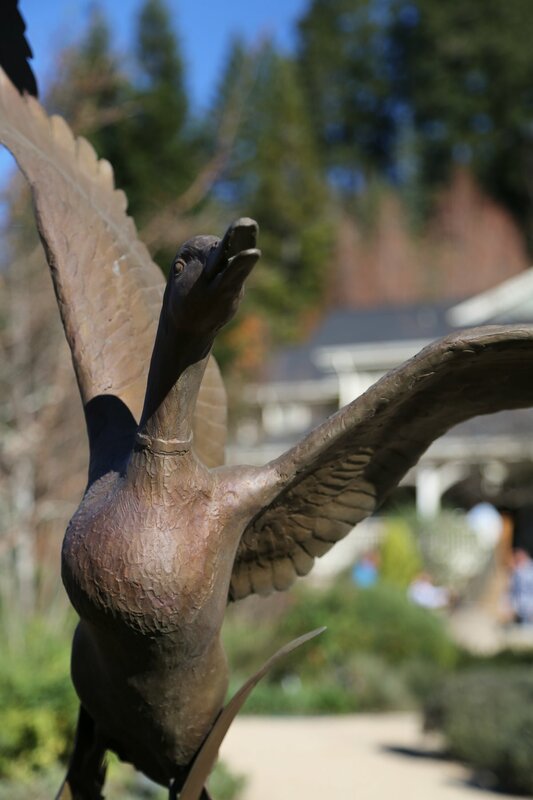 Also take a look at their “duck” collection – which of course is a tribute to Dan and Margaret’s last name & the name of the winery (and Dan is also a duck hunter). 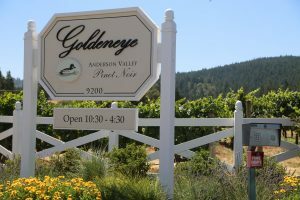 Duckhorn wines have been well represented in various White House functions and dinners spanning the terms of multiple presidents. Menus from these White House dinners are displayed inside the Estate House. 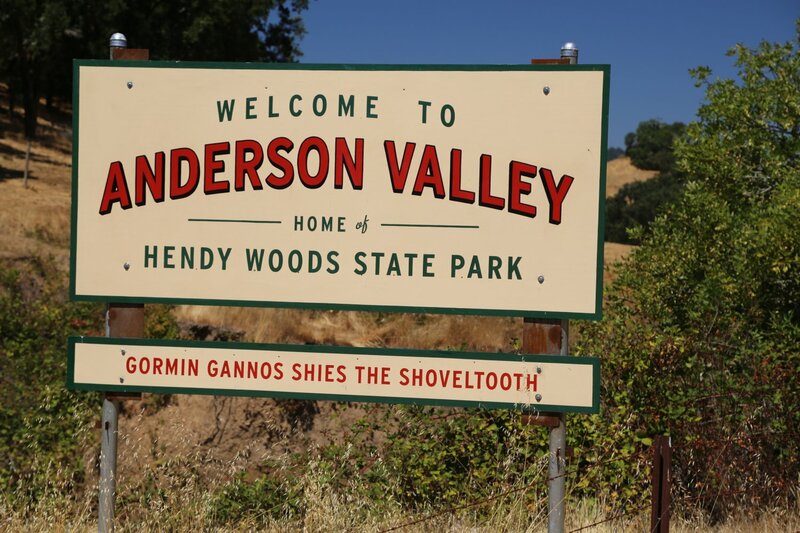 And under the same ownership is the Goldeneye winery, property and tasting room to the north in beautiful Mendocino County’s Anderson Valley (about a 2 hour drive from the Duckhorn tasting room in Napa Valley). 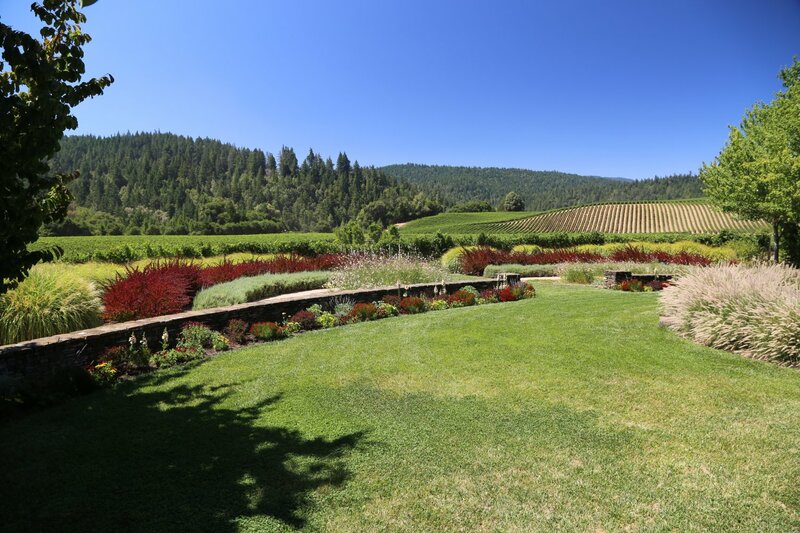 Similar to the experience at Duckhorn, the property features a ‘home’ which serves as the tasting room – but arguably the expansive views of their rolling vineyards and hillsides are superior here as compared to their Napa property. All tastings are seated – either indoors or outdoors if the weather permits. 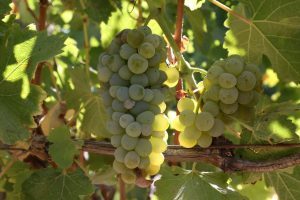 Note: this review has been identified as needing an update, namely our own tasting notes for their current releases.